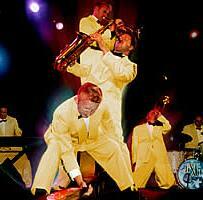 The Jive Aces are the UK’s top Jive & Swing band. 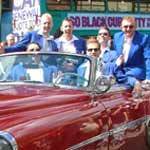 Since forming in 1989 this professional six piece group have starred at thousands of festivals, theatres, clubs and major charity and corporate events throughout Britain, USA, France, Switzerland, Germany, Denmark, Italy, Norway, Finland, Sweden, Spain, Eire, Belgium, Holland, The Caribbean, Estonia, Israel, Hungary and Canada. 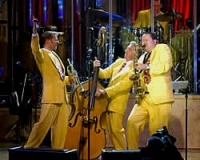 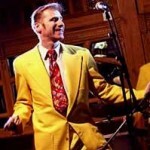 Their fantastic stage show combines a mix of fresh arrangements of swing and Jive, R&B classics, songs made famous by such greats as Louis Prima (Just a Gigolo), Cab Calloway (Minnie the Moocher) and Louis Jordan (Five Guys named Moe) along with superb swinging originals taken from their studio albums.